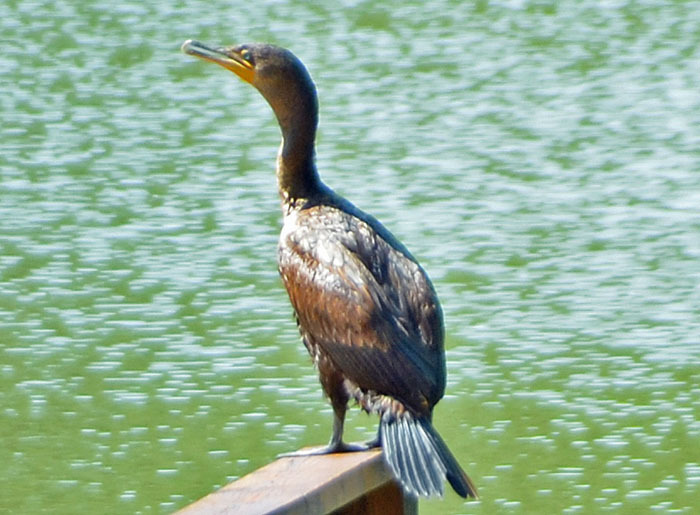 This cormorant dried its wings on our little dock. Unlike the similar anhinga, it has a curved beak. I am guessing that this is a juvenile double-crested cormorant (Phalacrocorax auritus).